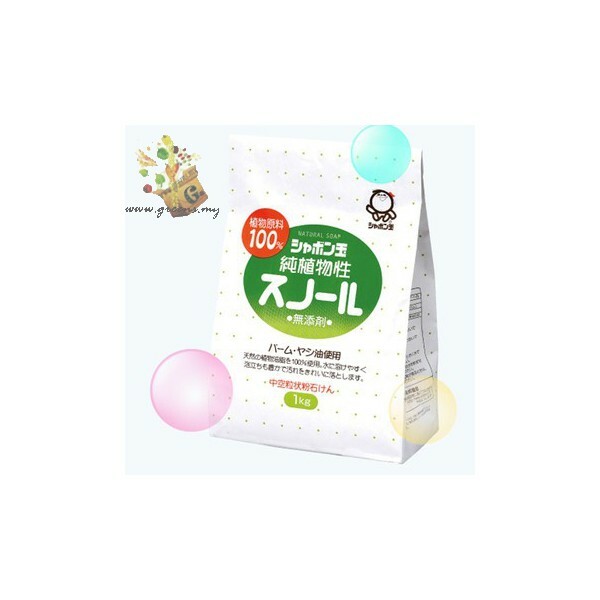 Shabondama Plant Snowl Laundry Powder has the texture of snowflakes, soft and smooth to dissolve in water without leaving any traces. Unearth yourself to Shabondama Plant Snowl Laundry Powder and you will find yourself loving it soft and comfy washed clothes without using a softener. In spite of that, it is safe even if it touch by Atopic Dermatitis (a type of eczema) patients. Fret not, with Shabondama Plant Snowl Laundry Powder, harsh chemicals residues are nowhere to be seen in your house. Note: For stubborn dirt or stain, apply Shabondama Plant Snowl Laundry Powder on it. Then, you may tentatively choose to soak it with water or cleanse it directly with water. Note: If you want softer clothes, you may opt to add in some Shabondama Mutenka Rinse. Use a little to wash more, no softener required. Dissolves easily in water without leaving any traces. Pure plant soap based laundry powder that prevents from caking naturally. No additives, preservatives, colourings, optical brighteners, fillers, and synthetic fragrances. 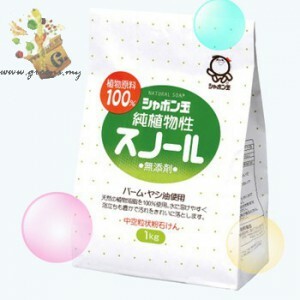 Eco-friendly laundry powder with biodegradable ingredients.